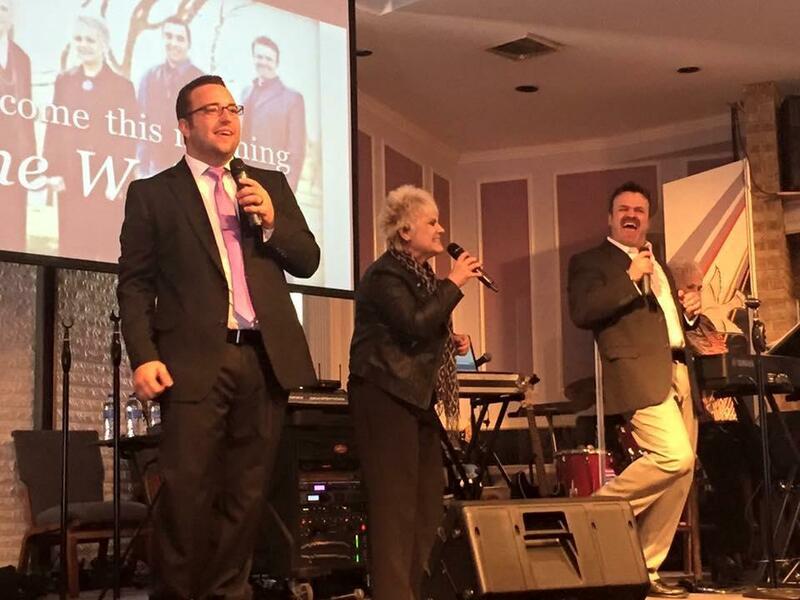 The Walkers will bring their southern gospel music to the Church of God, 370 Roosevelt Trail in Windham on Saturday, July 16 and the Living Waters Christian Church in Buxton on Sunday, July 17. “Disney’s Beauty and the Beast,” at Schoolhouse Arts Center 16 Richville Road, Standish, directed by Dillon Bates, music by Allen Thomas and choreography by Jake Boyce. Thursdays, Fridays and Saturdays at 7:30 p.m. and Sundays at 5 p.m. $16-$18. 642-3743 or www.schoolhousearts.org. Agatha Christie’s “The Unexpected Guest,” July 15, 16, 21, 22, 23, 7:30 p.m., July 17, 2:30 p.m., Saco River Theatre, 29 Salmon Falls Road, Buxton. $18-$20. July 21 is Pay-What-You-Can. 929-5412 or www.sacorivertheatre.org/events. The Walkers, a southern gospel trio, 6 p.m. at the Church of God, 370 Roosevelt Trail, Windham. The Greatest Gift Gospel Band, 6:30 p.m., Naples United Methodist Church, 1000 Roosevelt Trail, Naples. The Walkers, a southern gospel trio, 10 a.m. at the Living Waters Christian Church, Buxton. The Common Ground band, rock ‘n’ roll and soft rock, 6-7:30 p.m. at the Gazeebo, Gorham. Parking along South Street or Gorham Municipal Parking lot. Summer concert, Jimmy Junkins and the Big Fat Cadillac, boogie woogie and rock, 6:30-8 p.m., Dundee Park, Windham. Park opens at 5 p.m.. Concessions available. www.windhammaine.us/155/Parks-Recreation. North of Nashville, summer concert, 6:30 p.m., Mill Creek Park, South Portland. The Waiters, summer concert, 6-8 p.m., Riverbank Park, Westbrook. On-site cash barbecue, 5-7 p.m.
Time Pilots, 6:30 p.m. in Memorial Park, Sawyer Road, Scarborough (high school if rain). Free shuttle from high school parking lot; 50/50 raffle; concessions. “Where is it?” mystery photo identification at 7:30 p.m., Windham Historical Society, 234 Windham Center Road. Help identify 100-year-old South Windham photos. 650-7484 or www.windhamhistorical.org. “Inside Out,” movies under the stars at Bug Light Park South Portland. Gates open at 6:30 p.m., movie starts after sunset. Bring chairs, blankets and snacks. Local author Jim Nichols, talks about his latest novel, “Closer All the Time, “7 p.m. at North Gorham Library. “Zootopia,” movies under the stars at Bug Light Park South Portland. Gates open at 6:30 p.m., movie starts after sunset. Bring chairs, blankets and snacks. Maine Historical Society, guided tours of the boyhood home of poet Henry Wadsworth Longfellow, Portland. Monday-Sunday, first tour departs at 10:30 a.m., June-October. Garden open 10 a.m.-5 p.m. $3-$15. 774-1822 or www.mainehistory.org. Spring Point Ledge Lighthouse, South Portland, open for tours on weekends. Time Pilots get things jumping Thursday, July 21, at 6:30 p.m., in Memorial Park, Sawyer Road, Scarborough. The Waiters perform Wednesday, July 20, from 6-8 p.m., at Riverbank Park in Westbrook, and Thursday, July 21, from 6:30-7:30 p.m., in Fort Allen Park Gazebo in Portland.